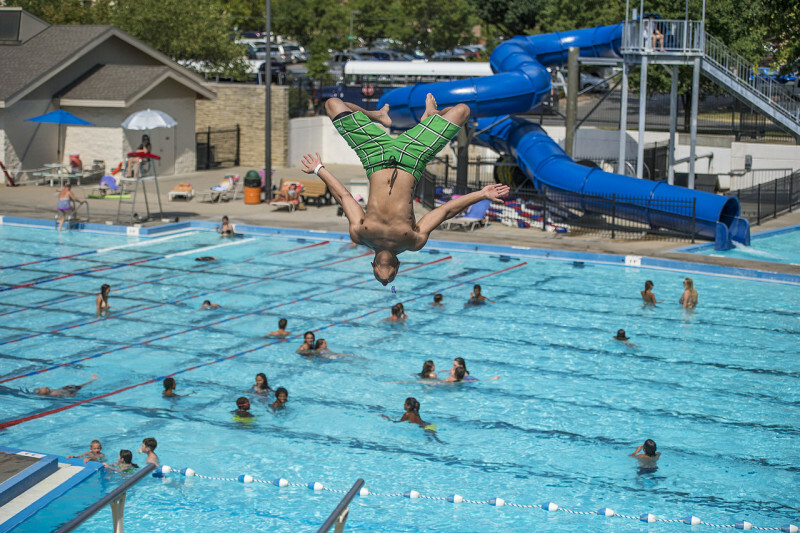 All summer long, the Lawrence Outdoor Aquatic Center is buzzing with swimmers and sunbathers.The center features water slides, diving boards, an interactive play area, zero-depth children's pool and lap swimming. With a playground, concession stand, picnic tables, shaded deck space and rows of lounge chairs, a family could spend the whole day here. 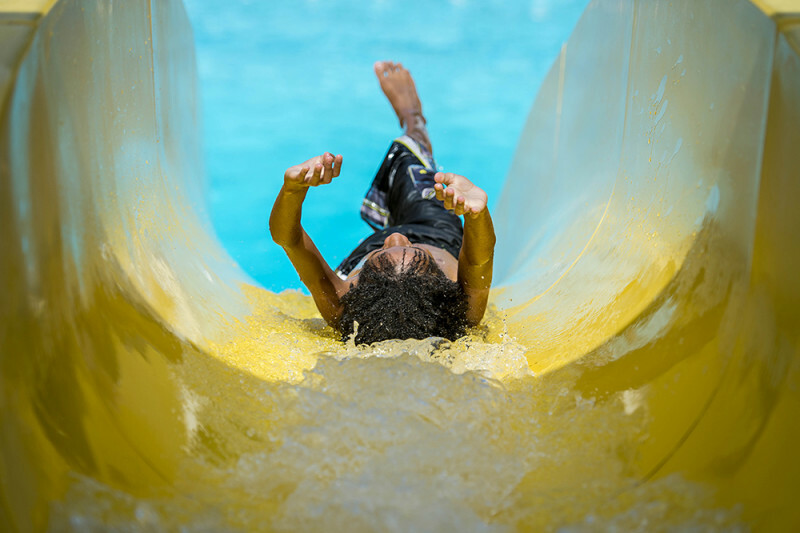 The Outdoor Aquatic Center hours are as follows: May 25-August 14 Daily 1 p.m. to 8:45 p.m. Exceptions: July 4: p.m. 1 to 6:45 p.m. August 15-16, 23, 30 4 - 8:45 p.m. August 17-18, 24-25, September 1-2 1-8:45 p.m. Lap Swim June 3 - August 24 Monday through Saturday 10 a.m. to 12:45 p.m.